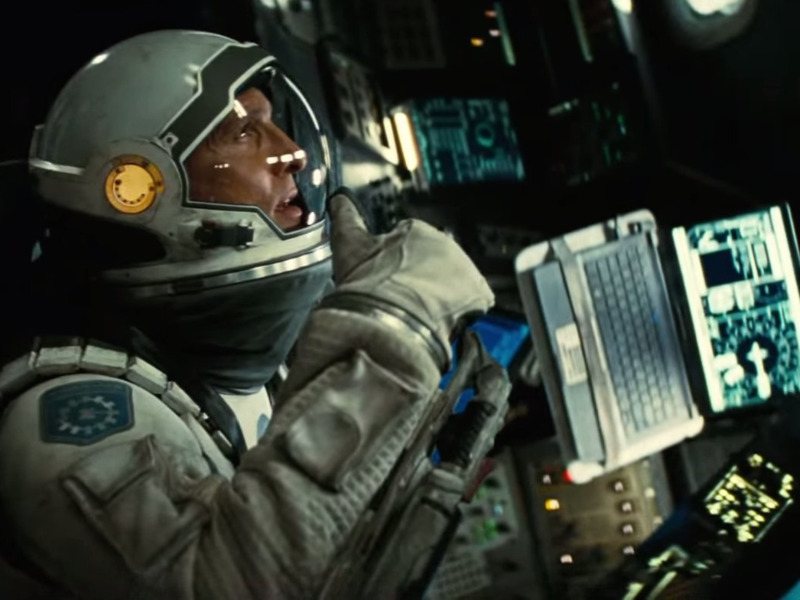 I’ve now seen “Interstellar” twice. 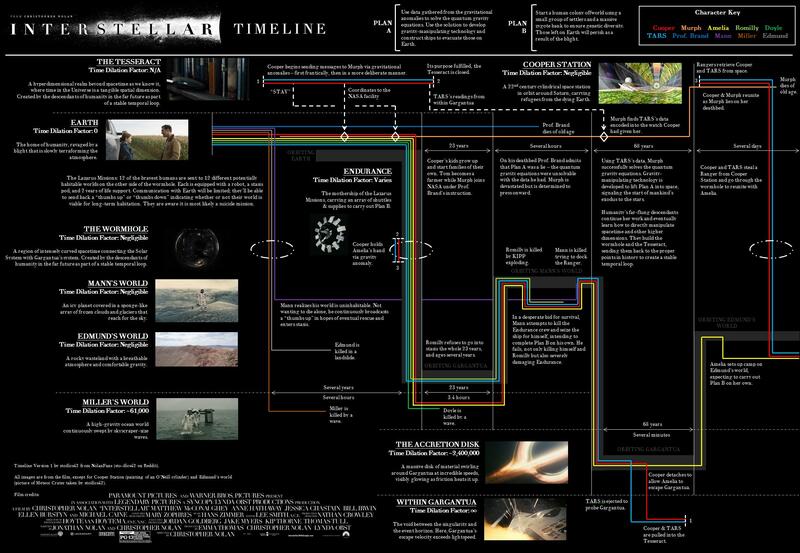 If you’re confused, there’s a handy graphic making the rounds on Reddit explaining the timeline of the film in great depth. I highly recommend checking it out. However, there are still a few things that didn’t make complete sense after spending six hours with Nolan’s latest. After a second viewing, there are only three things that really stand out to me as absurdly strange. 1. Help us, Matthew McConaughey. You’re NASA’s only hope … that they didn’t even know they needed. 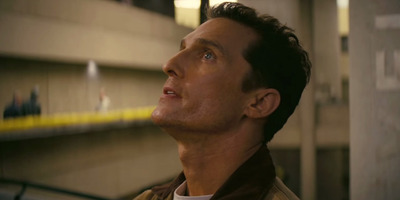 When Cooper (Matthew McConaughey) and his daughter Murph (MacKenzie Foy) stumble upon the remains of NASA in an underground lair, he’s first grilled about how he found the location before getting recruited to fly a space shuttle into the great unknown to save all of mankind. When someone from NASA recognises him, Cooper’s quickly told he was one of the best pilots that NASA ever had and that he’s JUST the person they need to command their ship. Wait. What? One minute NASA was ready to do away with Cooper and the next minute they’re viewing him as their golden boy. Even Cooper seemed slightly sceptical of the entire thing. Wouldn’t NASA have had a list of all the astronauts who ever flew for them? If he really was one of the best pilots who ever flew for them, why wouldn’t NASA seek Cooper out to see if he was alive and available to fly for them? If he showed up a day late, he would have never gone on this mission. 2. The Morse Code watch. 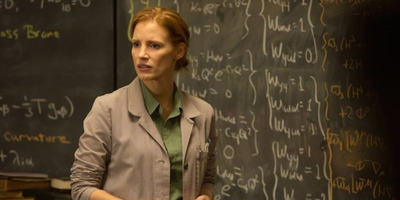 It’s made clear early on in the film that the only way to save mankind on a dying Earth is to solve a gravity equation. There’s just one problem. To solve that equation, we need data from inside a black hole. It’s not like anyone can just go inside a black hole, retrieve some data, and head back home. Naturally, near the end of the film, McConaughey’s character enters into a black hole along with a military robot named TARS. It’s a moment that will probably make you scratch your head at first. Cooper enters a three-dimensional fifth dimension (just go with it) which is visualized as the space behind his daughter’s bookshelf. To be clear, I don’t understand why Cooper conveniently winds up here (I’m assuming it’s because of the bond between he and his daughter. We’re told earlier in the film that love transcends time and space). Either way, Cooper now knows he has the data he needs to solve the gravity equation. The problem is getting that information back to Earth so the equation can be solved. Cooper quickly figures out that gravity can cross the dimensions. So to save the planet, he sends all of the data across time and space into a watch he left his daughter by translating it into morse code displayed by the second hands on her watch. This was probably the most bizarre and seemingly convenient plot device engineered in order to save the Earth. I understand that Cooper and his daughter had this connection with the watches and that it would make sense for Cooper to use the watch to communicate with his daughter, but we’re supposed to believe that the answer to mankind’s biggest question lies in deciphering morse code from the seconds on a watch? My suspension of disbelief can only go so far. 3. Cooper spends the entire movie trying to get back to his children only to leave them after a two-minute reunion. Probably the most difficult thing to swallow about the movie is that when Cooper is finally reunited with his family years later, he spends about two minutes with his youngest child, Murph, before heading off again onto another space adventure. Even worse? Cooper doesn’t ask anyone how his son Tom is doing or whether he’s alive. Tom was the only child consistently sending video messages to his father while he was off in space. He even brought his father to tears. It’s pretty clear Cooper favorited one child over the other. Did you check out “Interstellar” over the weekend? Let us know what you thought about the movie.